Group road bike rides are held Monday mornings during the summer and early fall as soon and as long as weather permits; generally June through September. Our rides are open to all ability levels and generally have route options of varying length and difficulty. Although a primary route is provided for each ride, everyone is free to form their own groups to ride any route from the starting point they prefer at their own pace. We also often have leaders for for A (15-17mph average), B (12-15mph) & C groups for those who are new or prefer a more formal group. A pre-ride meeting will be held prior to each ride to discuss routes and group leaders. 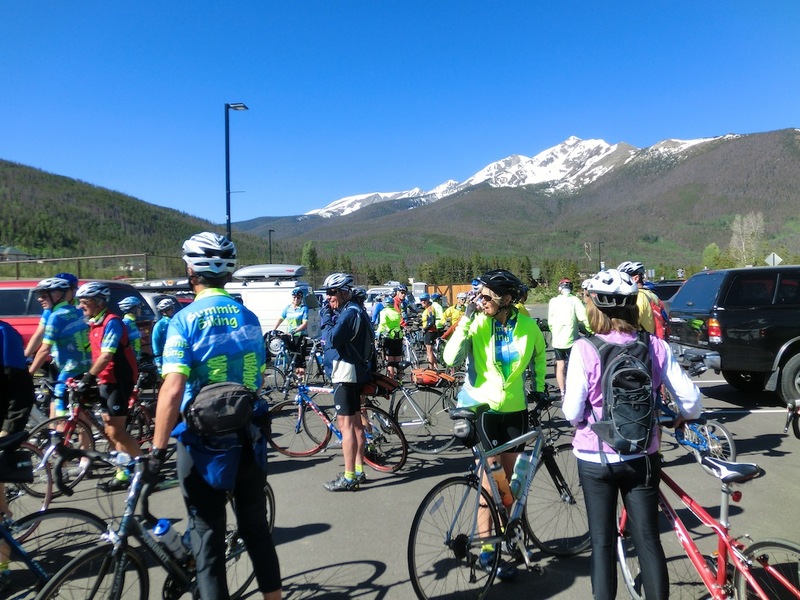 Road rides generally start from the Frisco Marina, west Frisco Parking Lot, Dillon Amphitheater, or Breckenridge Recreation Center unless the ride is outside or in the northern part of Summit County. All rides start at 9:30 am unless otherwise indicated. Specific meeting locations and details for each week's ride and other activities are posted in red on the calendar below as they become known; often sometime the week before so we get a better feel for the expected weather. Just click on an entry for the details. Late additions, changes, cancellations, etc., are posted in our blog. There is a pot luck picnic after each Monday ride and a grill normally will be available for those that want to cook something for lunch. Other rides are still in the planning stage. 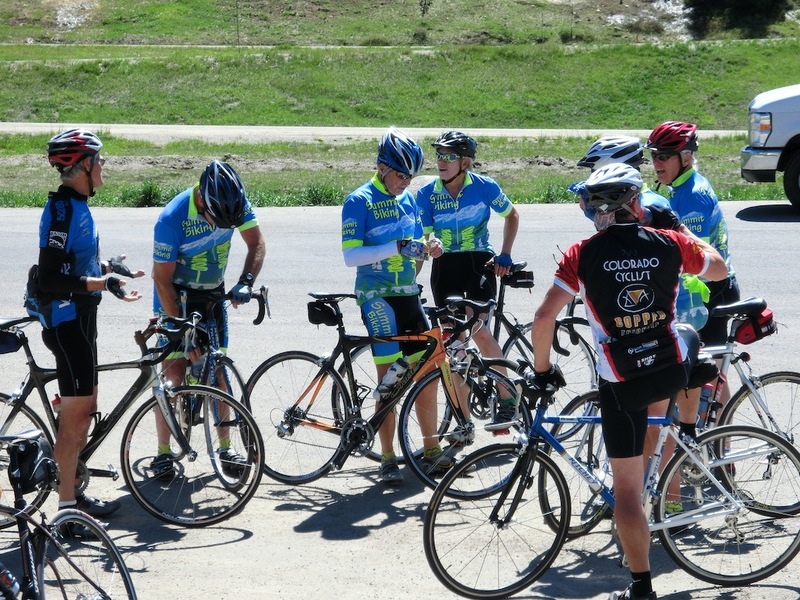 For example we have posted Wednesday rides with Summit County youth and hope many of the regular riders will join them.